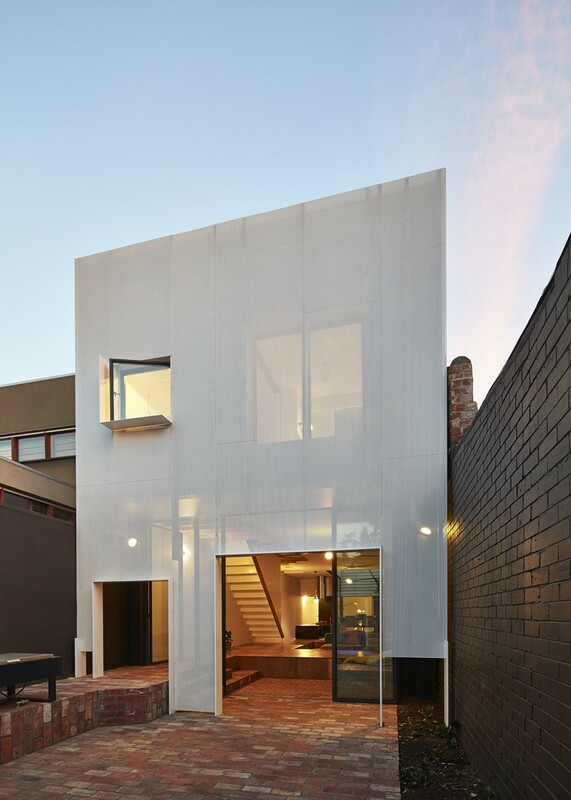 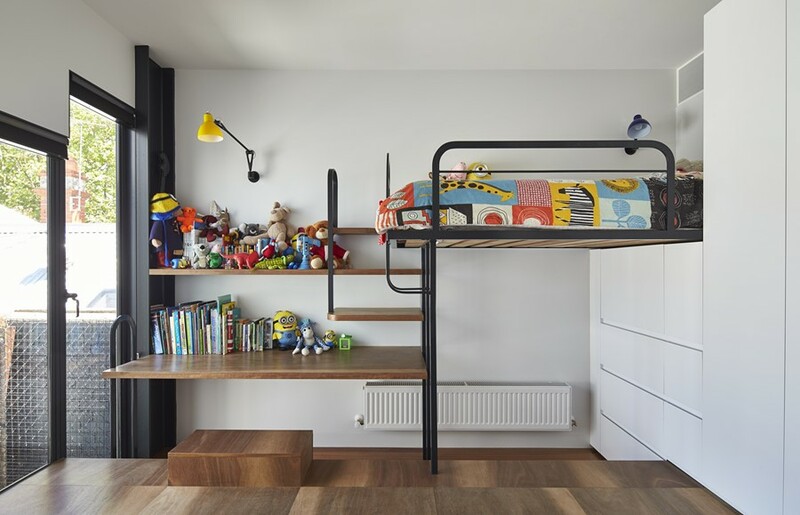 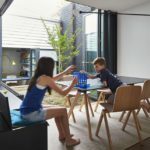 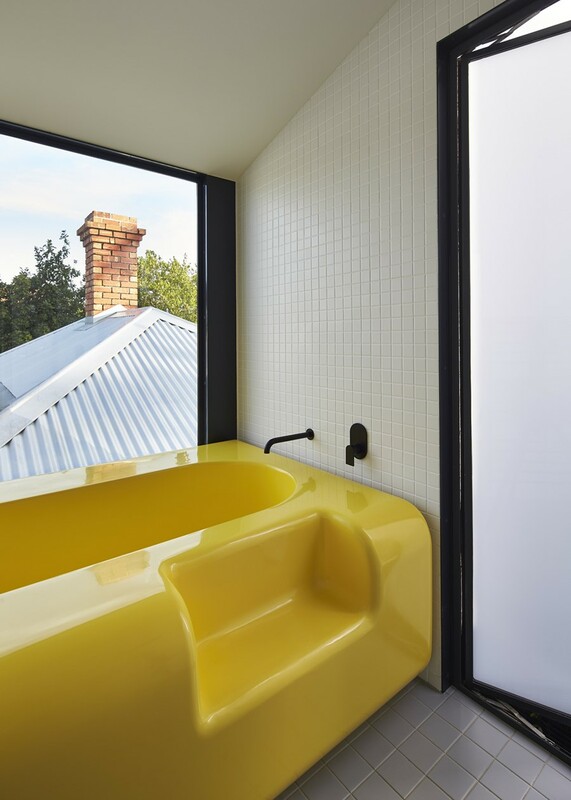 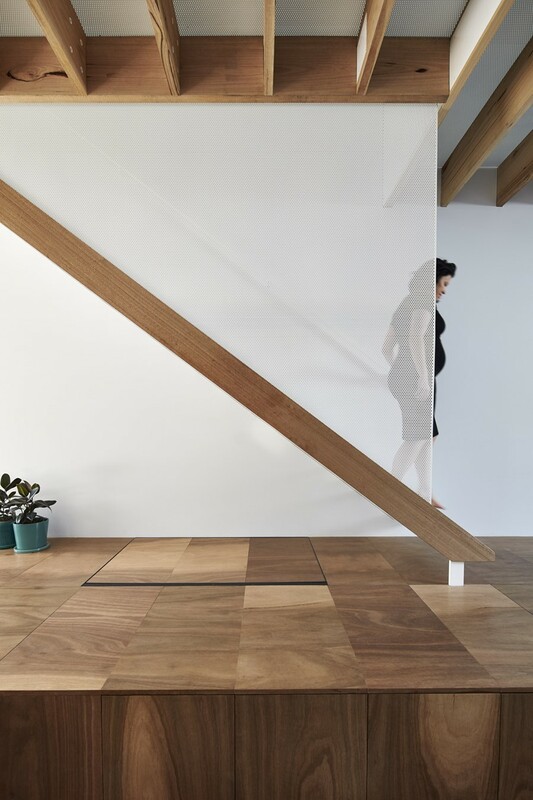 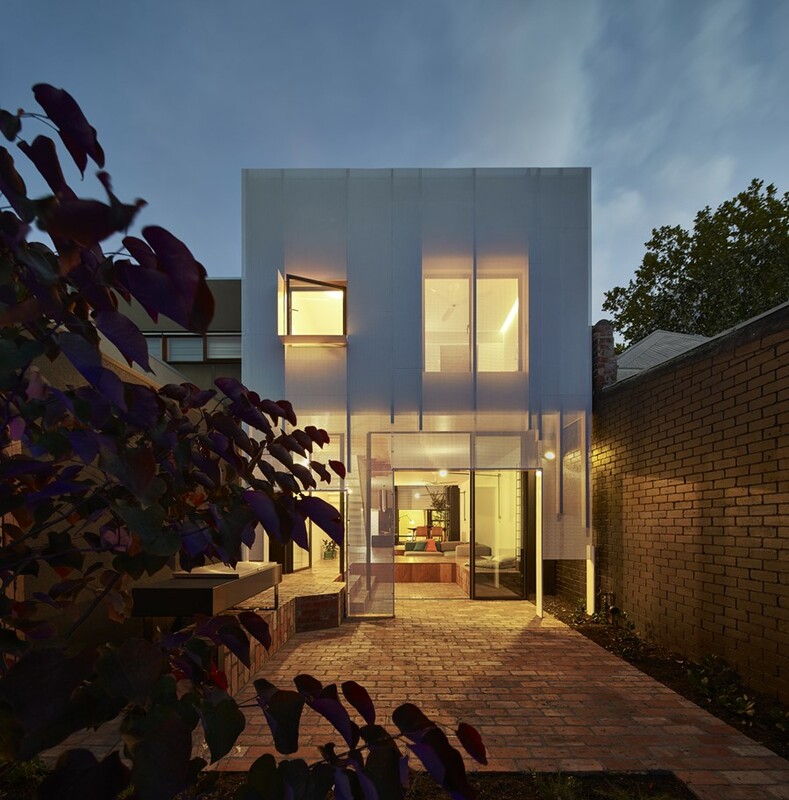 Mills, The Toy Manage-ment House is a project designed by Austin Maynard Architects in 2015 and covers an area of 202m2. 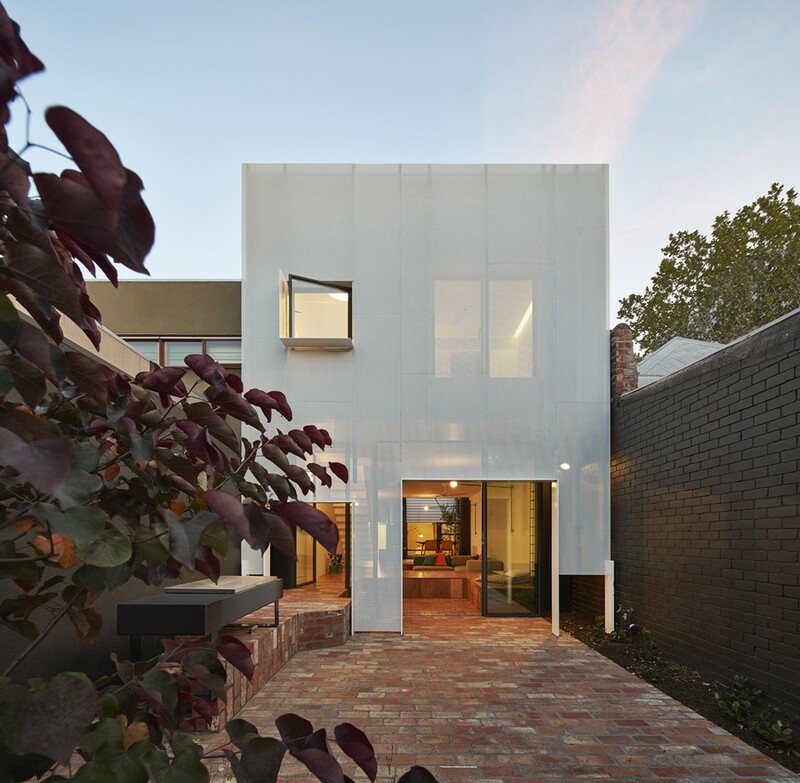 Project Team: Andrew Maynard, Mark Austin, Natalie Miles. 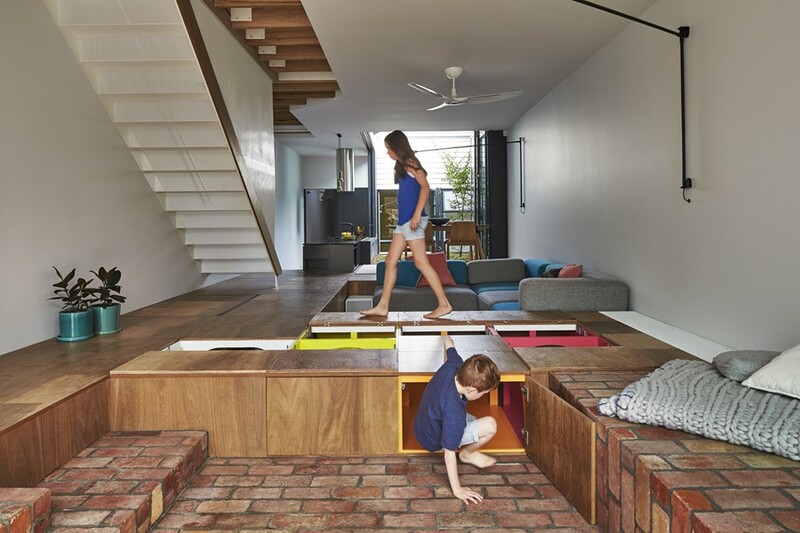 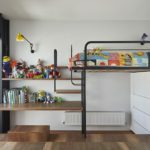 The brief was to design a light-filled home that could hide the mess typi-cally made by a small child, so we devised a floor that was a giant toy box. 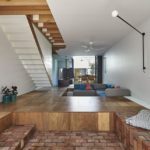 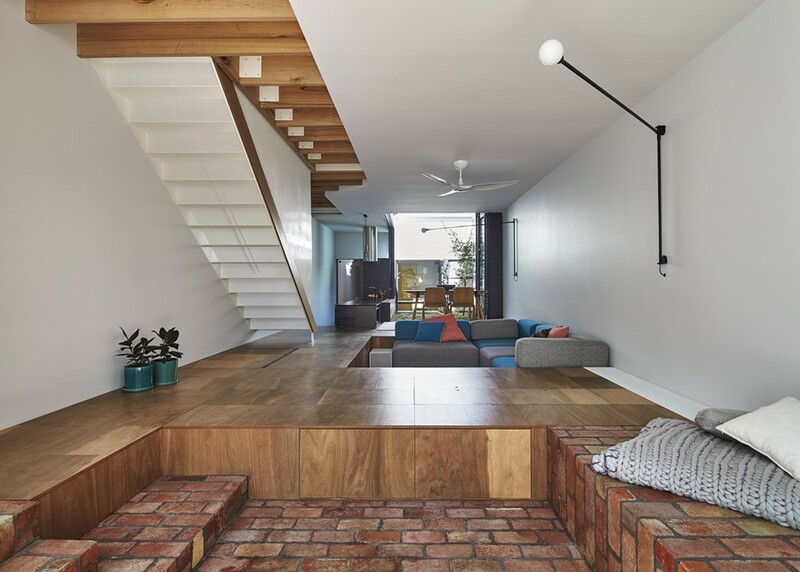 Mills is an extension to a single-level weatherboard terrace, where only the original facade and front two rooms remain. 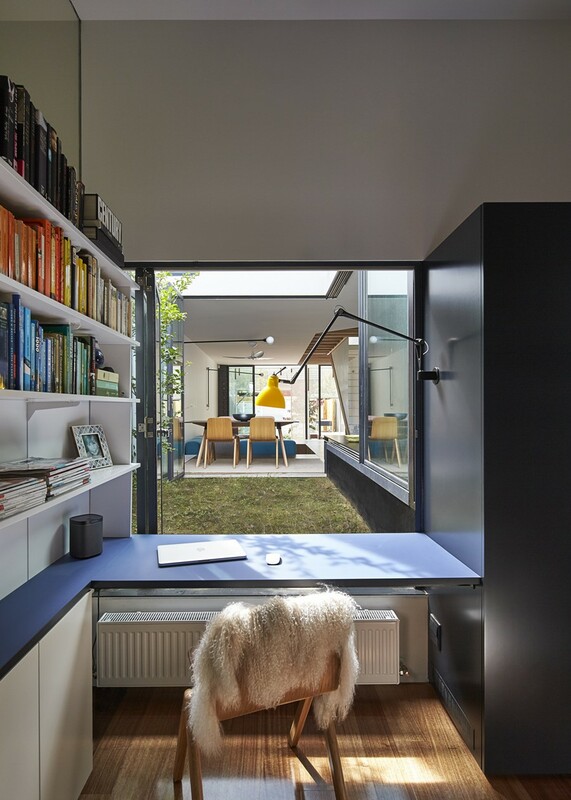 One of those rooms has been altered to incorporate a study and a bathroom. 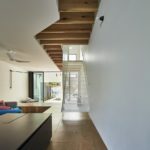 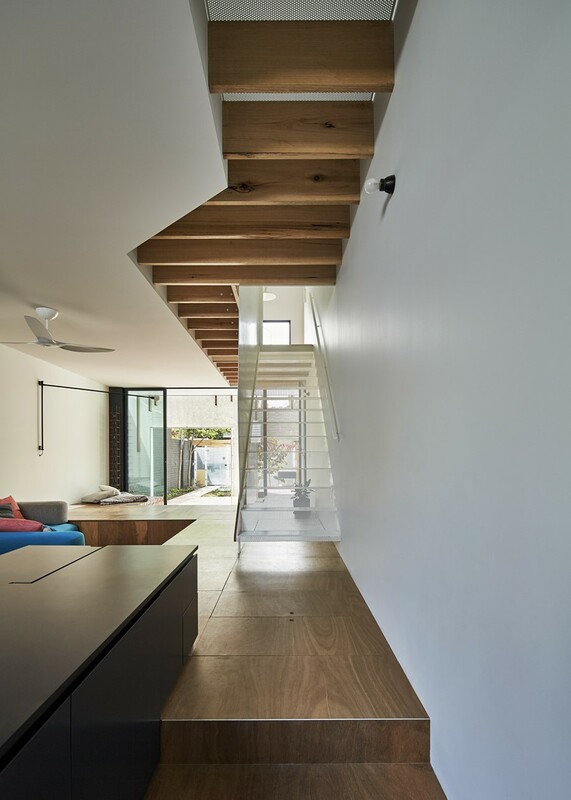 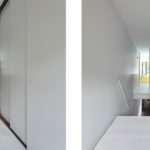 A large lightwell separates the original structure from the new extension, which has two bedrooms and a bathroom above an open kitchen, living, dining space. 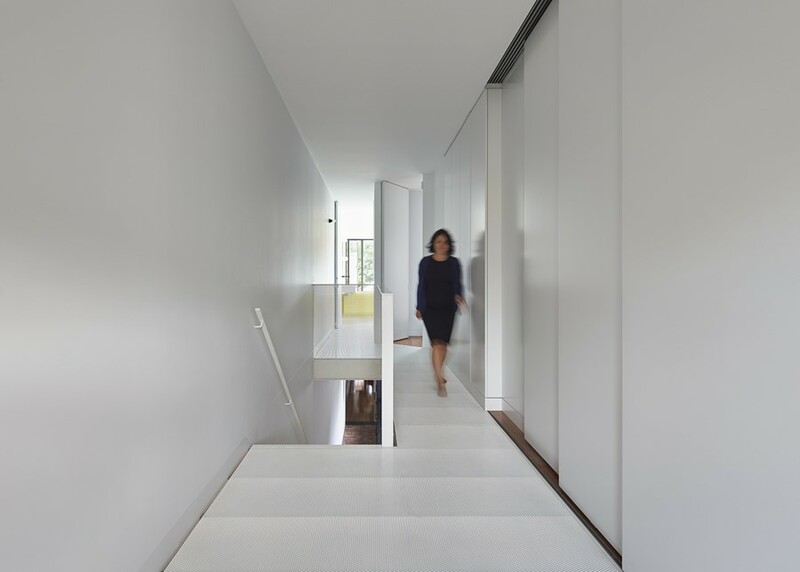 We like to give corridors dual functions. 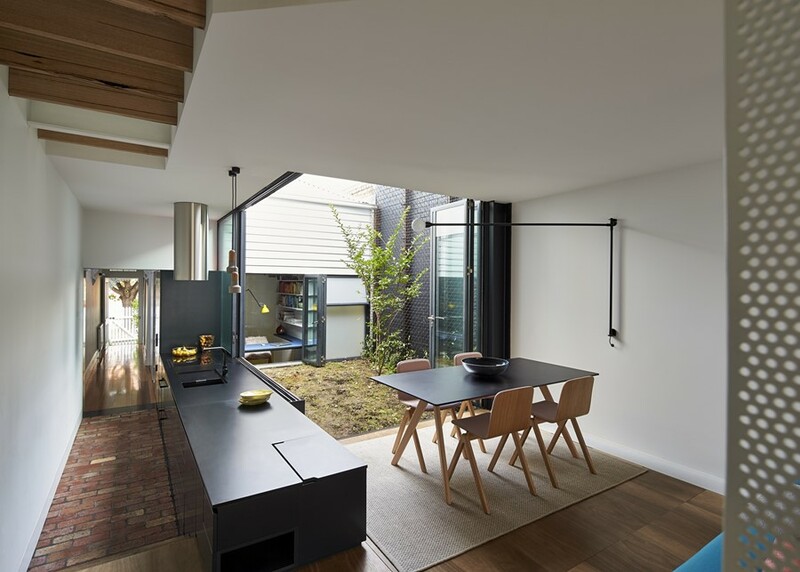 The kitchen at Mills occupies the original corridor. 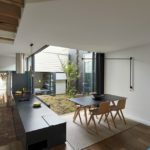 Therefore the substantial space the kitchen would have occupied in a standard terrace house has been used as living space. 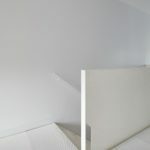 Upstairs the master bedroom wall can slide away entirely, so that the room can increase almost 2 metres in length when open. 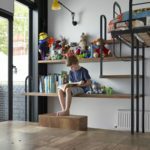 The toy-box floor is 450 millimetres deep. 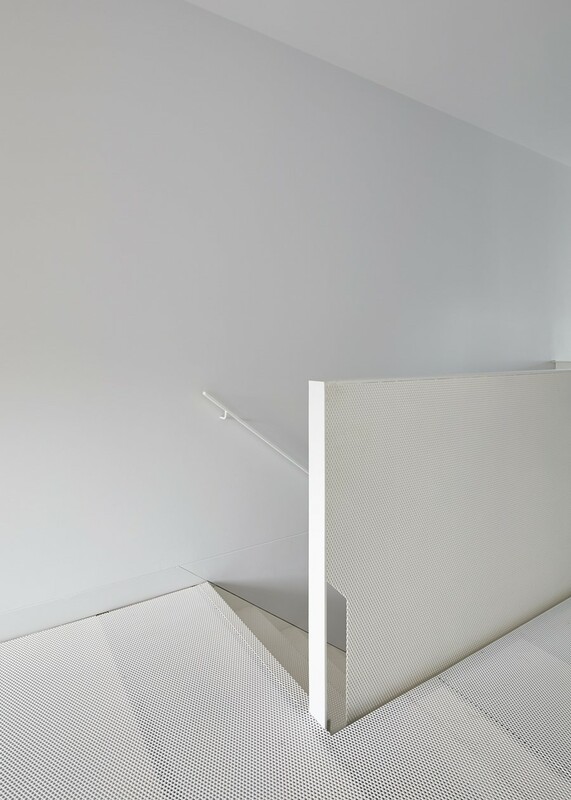 A typical seat is roughly 450 millimetres high. 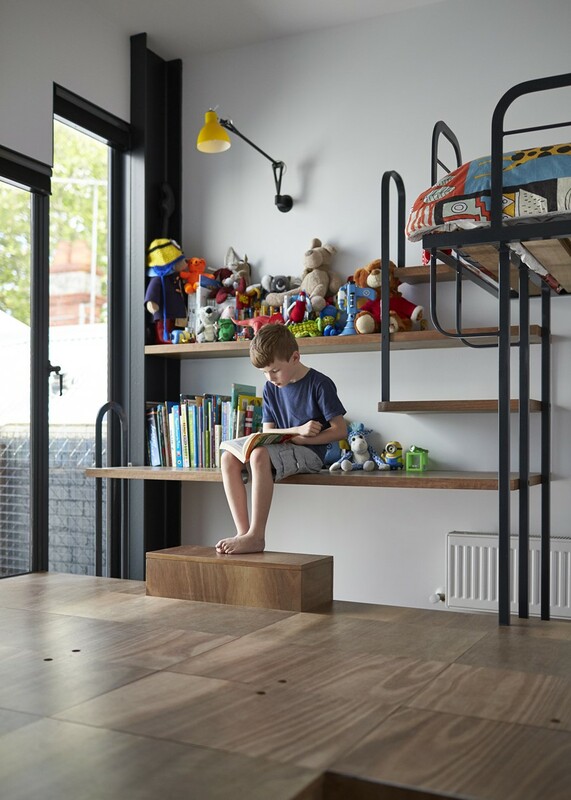 The open floor is not only storage space, it is also play space, at a comfortable seat height for adults. 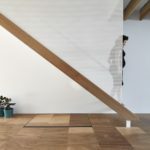 By using perforated metal throughout Mills, to control sunlight and in-crease air flow, the lines between inside and outside have been blurred. 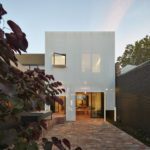 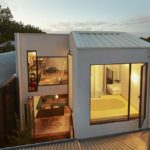 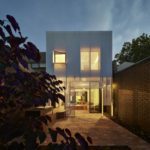 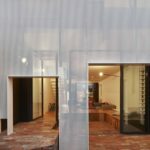 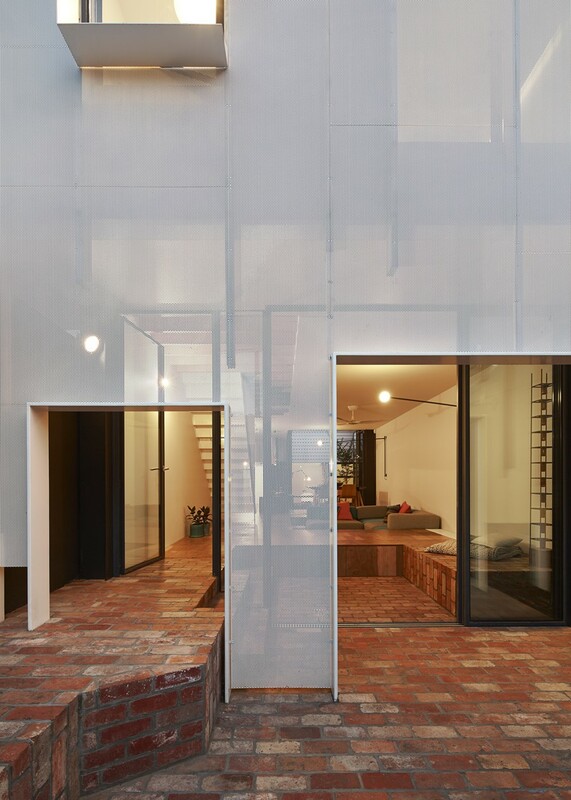 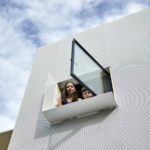 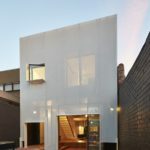 The glass walls of the living space are offset from the perforated fa-cade, which creates a comfortable outdoor space that feels as though it is within the skin of the house. 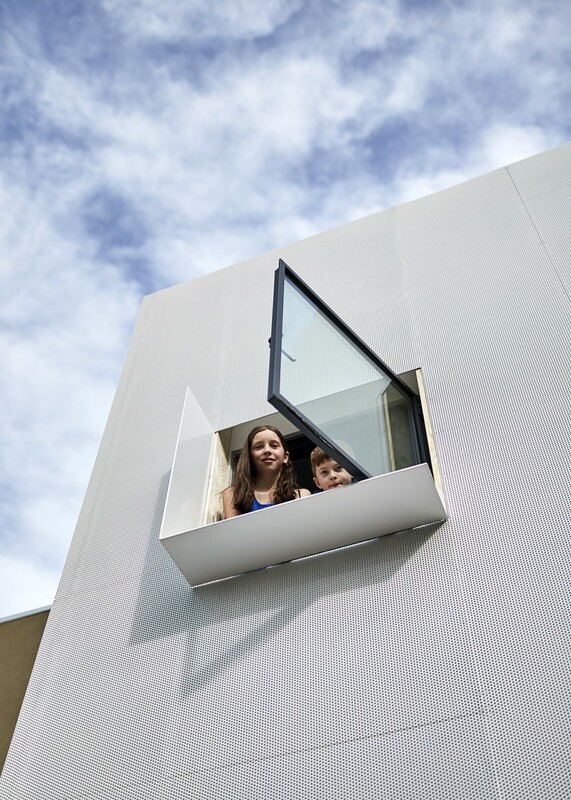 Like all of our buildings, sustainability is at the core of Mills House. 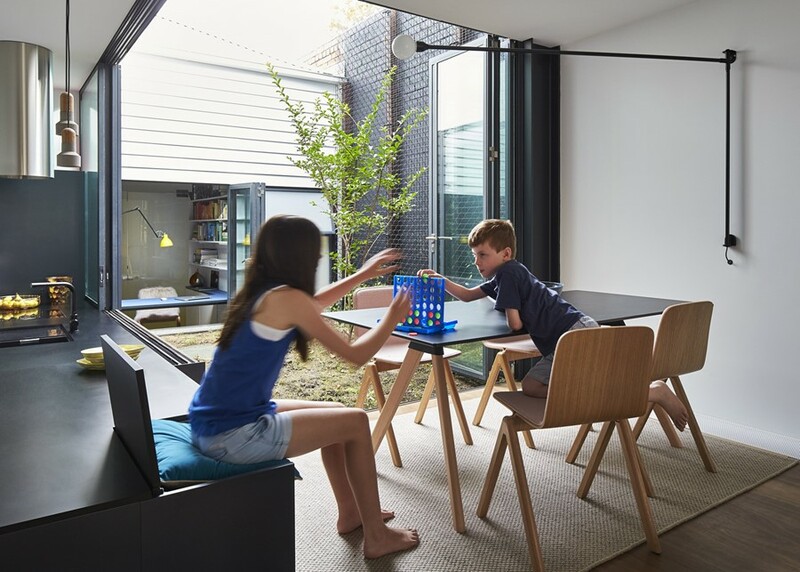 Alt-hough the site is small we have maximised natural light and air to all spaces. 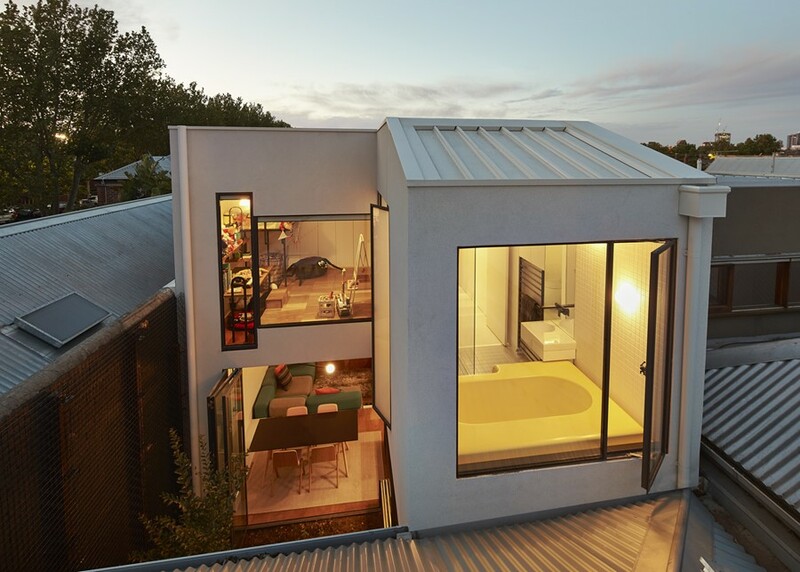 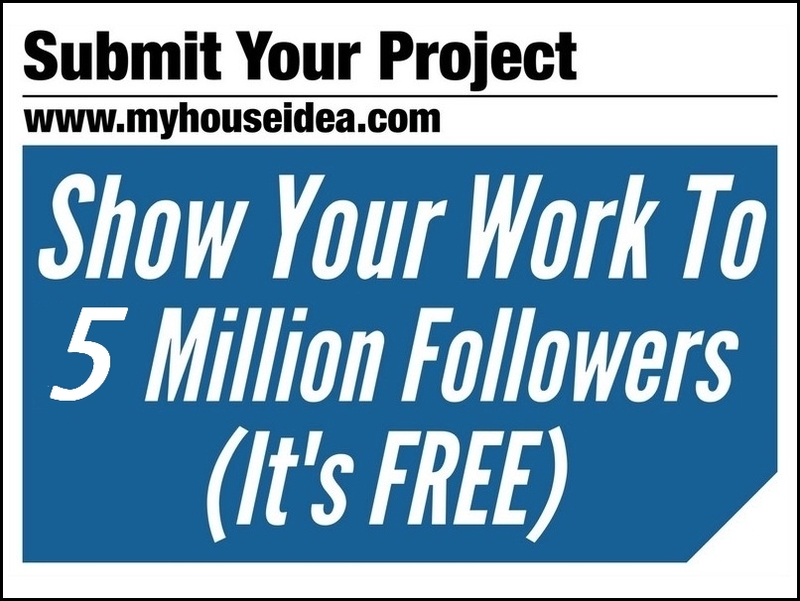 White roofs drastically reduce urban heat sink and heat transfer internally. 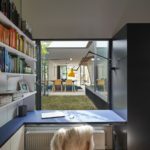 High performance insulation, double glazing, solar panels and a concealed water tank were all used to effect. 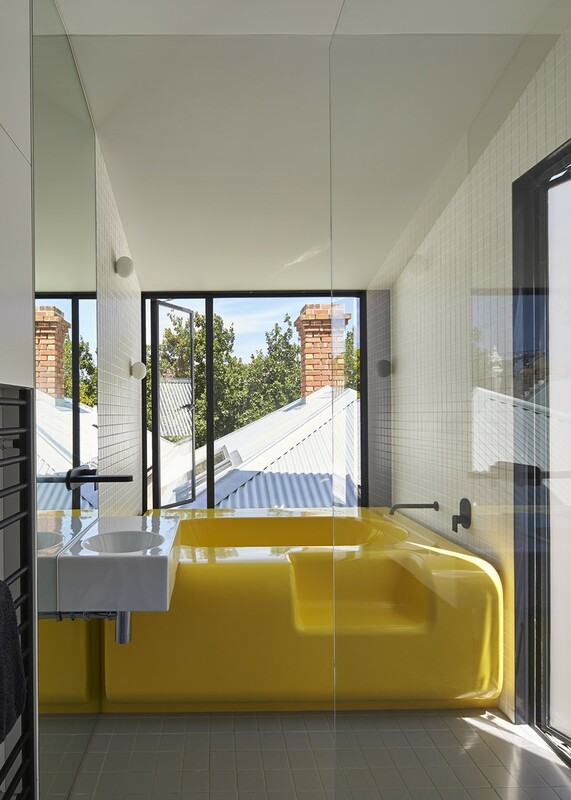 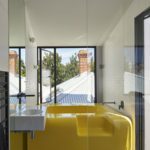 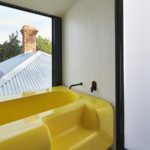 This entry was posted in bathroom, bedroom, house, kitchen, living and tagged Austin Maynard Architects, bathroom, bedroom, home, house, house idea, houseidea, kitchen, living, Mills house, myhouseidea on July 31, 2016 by admin.